The Amelia custom stamp design is magnificent and stunning. Perfect for anyone who appreciates natures scenery. 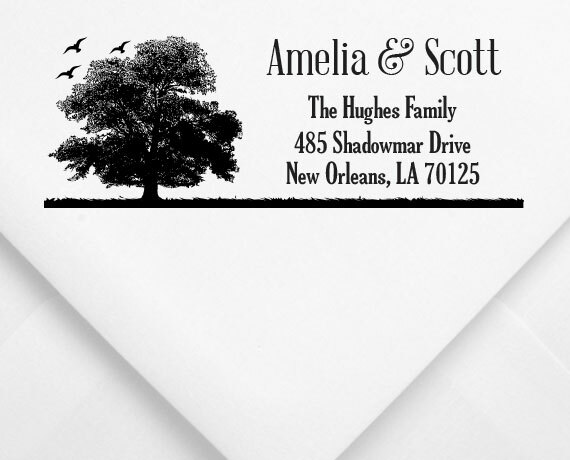 This stamp is assembled on our rectangle white stamp mount and includes a built-in ink cartridge in licorice-black. Other ink colors are shown below and available for $4.00.